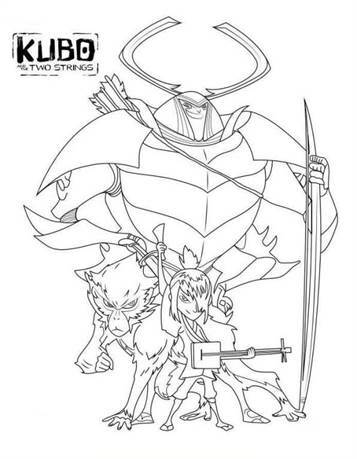 Coloring pages of the animated movie Kubo and Magic Sword, from the makers of the Boxtrolls. The story is about Kubo accidentally calling from his past a vengeful spirit. 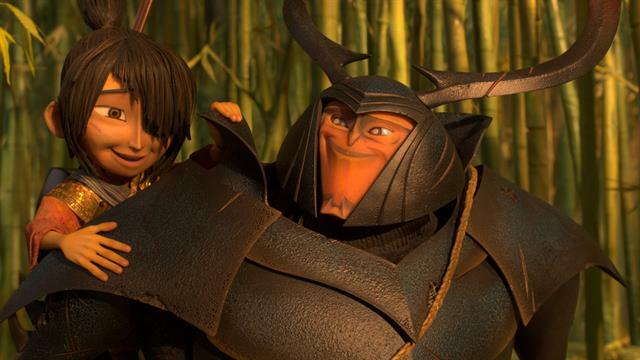 To save his family he has to solve the mystery of his deceased father, the best samurai who ever lived. During his dangerous quest Kubo gets help from Monkey and Beetle. Armed with his shamisen - a magical musical instrument - Kubo must fight against gods and monsters, including the hostile Moon King and the evil twin sisters.